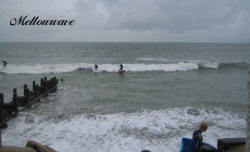 First shots of the year come from Rob, a messy Saturday January 14th, I got in up the Rd on Sunday and it wasn't much better although their were some good rides to be had! 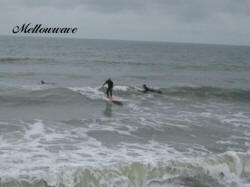 More great shot's from Rob Saturday 12.01.06, This was a great day with some classic rides to be had, the surf at Bracklesham was a bit crowed with the car park full. 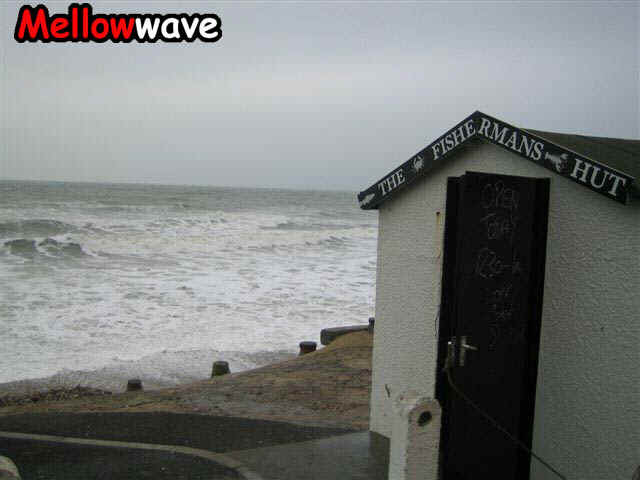 Last time I saw it that busy it was summer, although the sun was out maybe that confused a few people! Their were a few collisions in the water some of these could have been prevented by taking some time to read the surf rules. 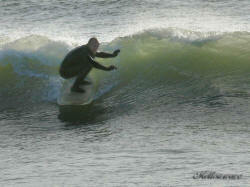 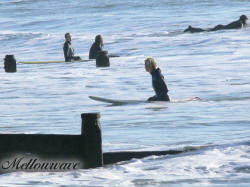 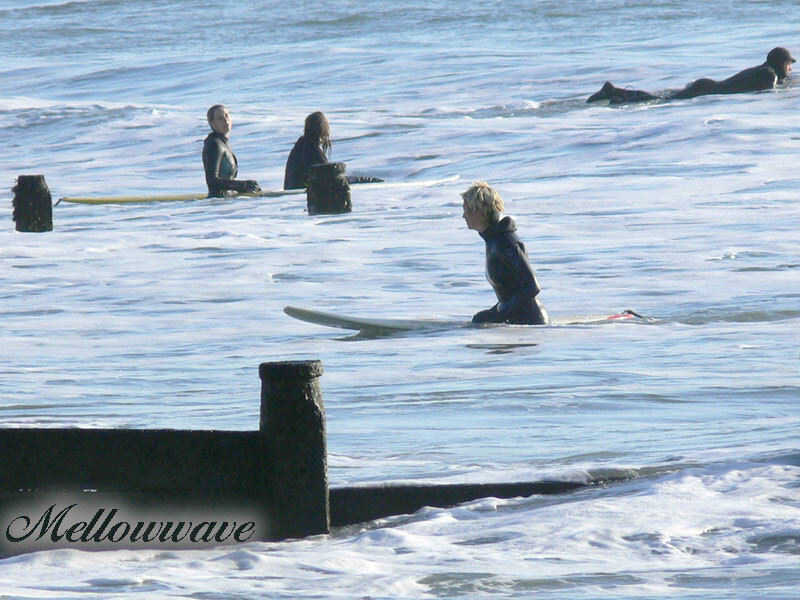 Thanks to Joy for letting me use her longboard..
Bob & Chris enjoying the smaller wave left over from yesterday. 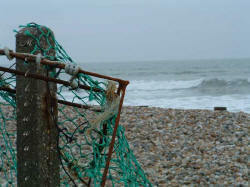 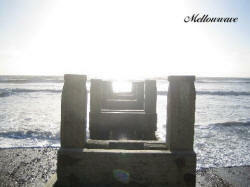 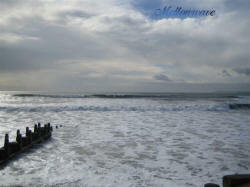 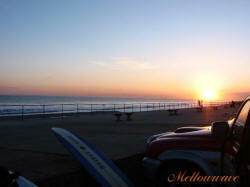 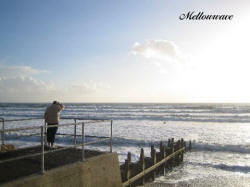 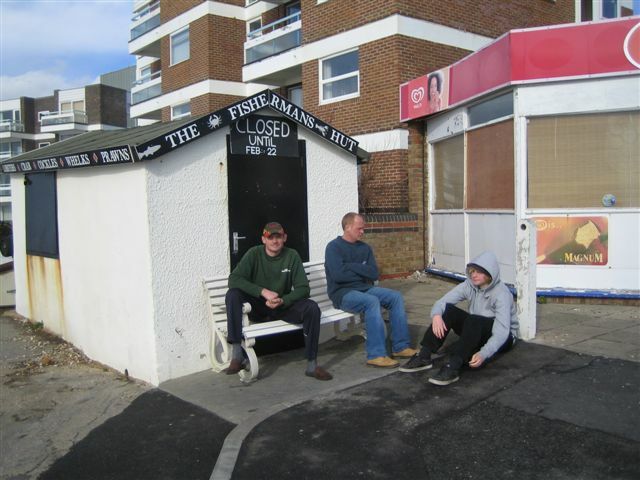 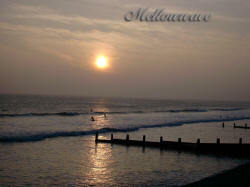 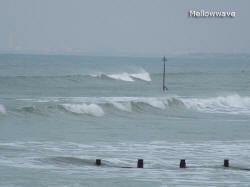 Friday 17th Feb at East Wittering good surf for the whole weekend, even better if your not injured with cracked ribs!! 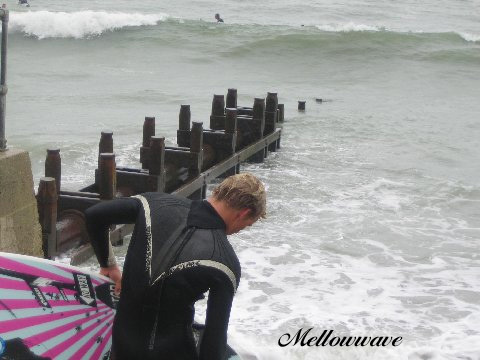 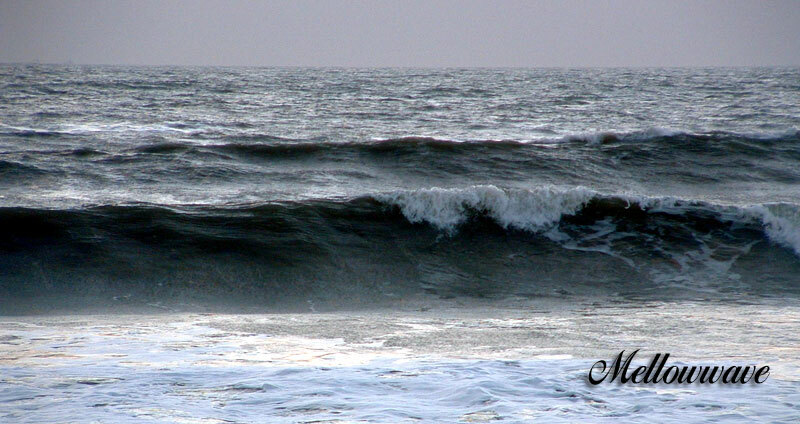 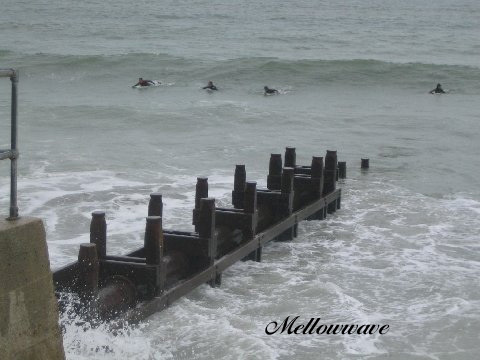 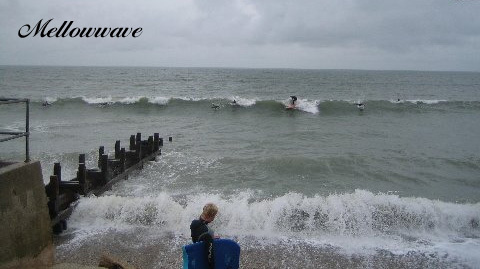 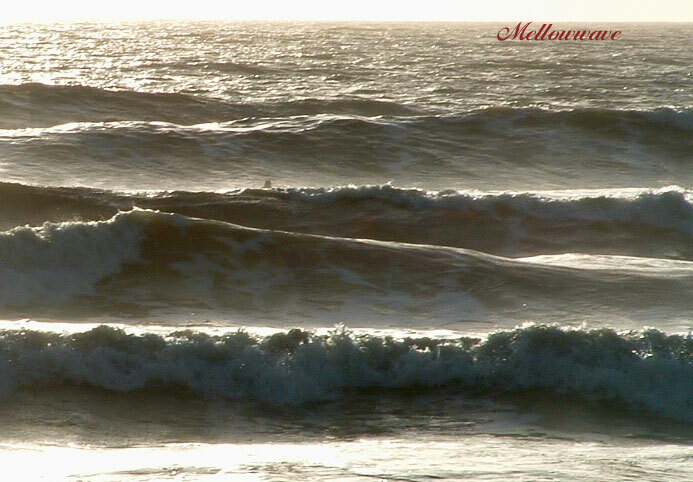 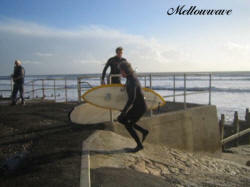 Some shots of Bracklesham bay sent in by Mark, some sweet surf action! 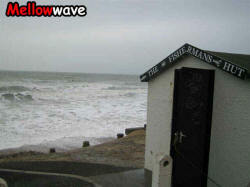 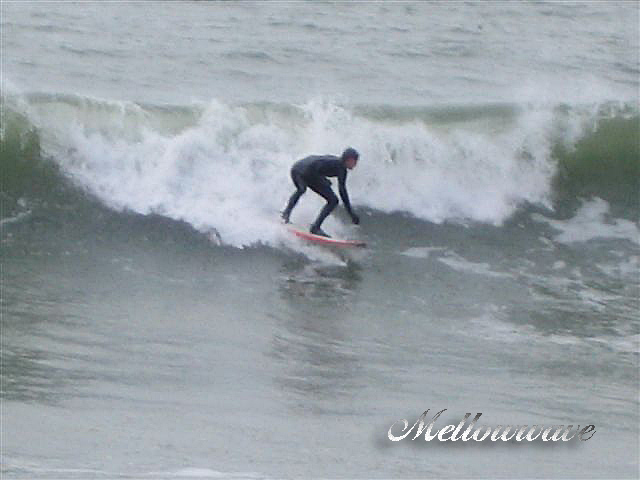 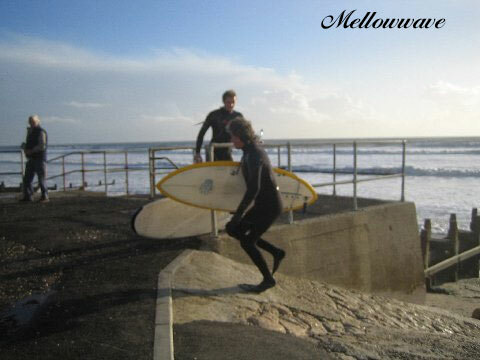 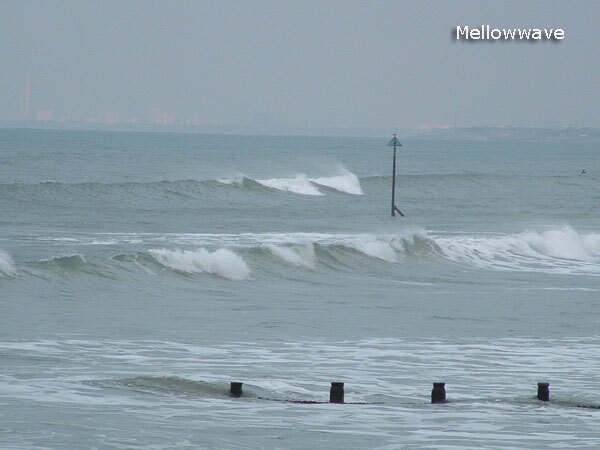 Tuesday 14.03.06 a good 2ft wave at East Wittering. 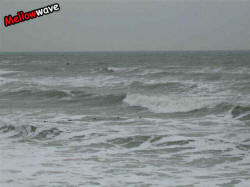 I got in at Bracklesham and had it all to myself!! 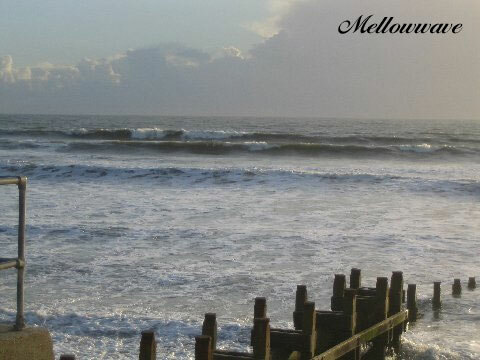 Sunday 26.03.06 a good swell 2ft and some sweet clean sections to ride!! 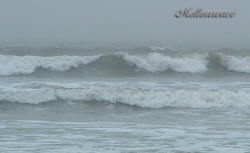 Quite a bit of fog around but the water is warming up for us. 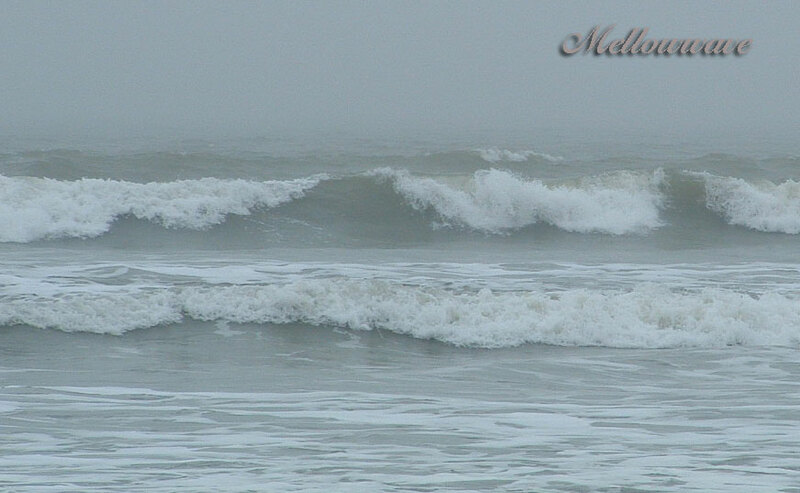 TAKEN THIS MORNING AT WITTERING 29 MARCH, WHAT LOOKED LIKE A NOTHING TURNED INTO THIS , WASNT GREAT BUT WAS A WAVE NO THE LESS! NOT A BAD DAY AT WITTERING,THATS MARCUS WITH THE BLUE LONG BOARD WHO IS A LOCAL FISHERMAN AND THATS FISHERMANS HUT BOB WITH HIS KNEE BOARD , IT WAS A DECENT SWELL BUT WAS ALL OVER THE PLACE . 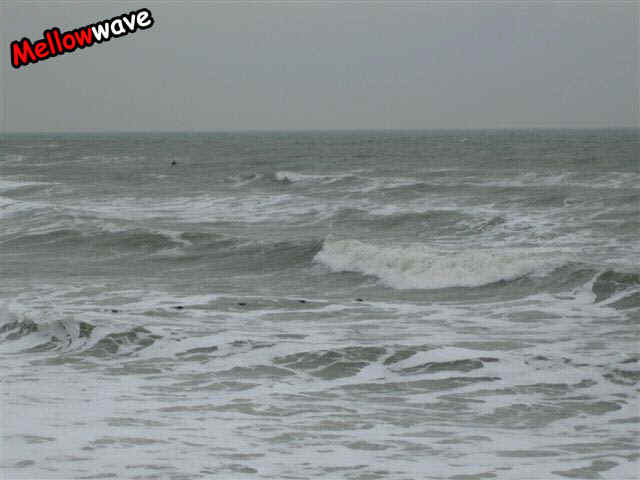 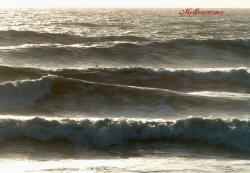 Solid surf most sets were at least head high the best I've seen here for a while!! Loads of pics for this classic day click here or on pic to see the page. 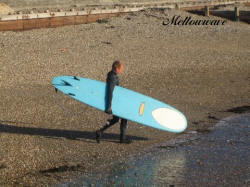 Pictured "Scouse Mike" going left, I took this through a van window!